It’s hard to think of a better written, formulated and executed thriller like the kind of unique, genre-defying film that 1946’s Green for Danger is. In chief example, it takes place during one of the more terrifying and utterly chaotic periods in British history, the indiscriminate post-Blitz V-1 and V-2 bombings of London and surrounding areas, and concerns not a group of houseguests in a stuffy Tudor mansion on a dark and stormy night, or on fast-moving train across Europe À la Agatha Christie, but in a small hospital in rural southwest England. Two doctors, three nurses and a Sister (nun) run the small facility, and military mailman Mr. Higgins arrives with an anonymous letter before returning back to the nearby military barracks. A whizzing V-1 – referred to in British lore henceforth as the “doodlebug” – collides into the barracks and Mr. Higgins is delivered to the hospital delirious and suffering several surface injuries. 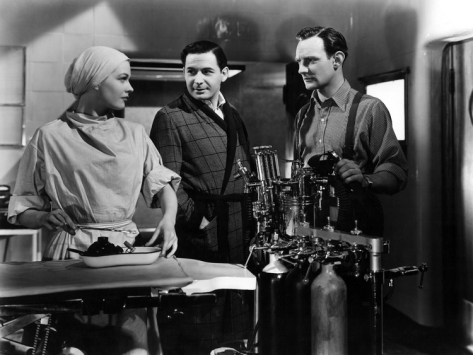 Going under the knife in the operating room (referred to as “theatre” in the British vernacular), several strange circumstances lead to the man’s sudden and unexpected death. Reeling from confusion and shock – not to mention the added tension wrought by the paralleling romantic inclinations of numerous members of the staff – the hospital hosts a much-needed gala ball, but when Sister Bates is stabbed to death in the operating room after giving a revealing and maddened declaration to the partygoers that Higgins’ death was no accident, a strange circumstance becomes a murder mystery. With emotions and paranoia running high, Inspector Cockrill – who had narrated the opening moments of the film up to this point – arrives on location to investigate, and the film’s crack wit and taught excitement begins to ignite. 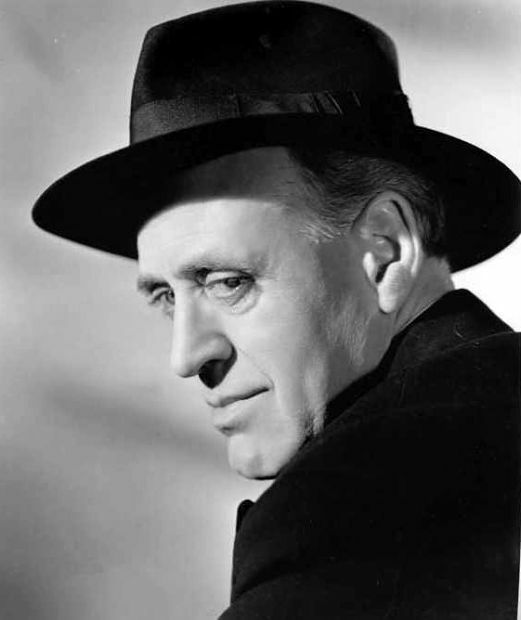 Played by Alastair Sim, the original and beloved Scrooge in The Christmas Caroli adaptation five years later, Cockrill brings slightly zany and unexpected comedy to his performance, from his opening scene falling over himself while taking cover after a V-1 missile lands nearby, to his unorthodox manner of questioning – “I’m a child in these matters”, as he spins child-like on a stool while asking the anesthesiologist (A young and dashing Trevor Howard in only his fifth major film) – as well as the kind of sterling omniscience that Scotland Yard man is expected to represent. 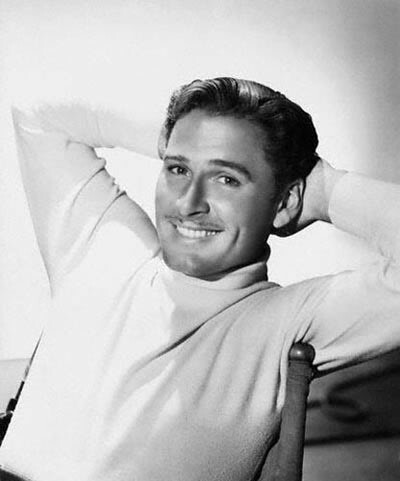 Howard, along with his nemesis, the slick womanizer Dr. Eden, played by Leo Genn – who was in turn lusted after by the late sister – fight over Sally Gray’s Freddi, adding even more anixety and strain into the fabric of this excelsior murder mystery. Green For Danger meshes madcap comedic elements, sequences of chilling cinematography bordering on horror, a frantic, intelligent score by William Alwyn that properly denotes the movie’s myriad elements, the subtleties of extreme sexual tension amongst a close-knit group of the lonely and scared, and Sherlock Holmes-esque deductive denouement into surely one the most unique of all British thrillers, and most certainly one of cinematic history’s most under-appreciated and undiscovered gems. Based on the mostly unknown Christianna Brand novel published two years earlier, the production team of Gilliat and Frank Launder – the team behind 1938’s The Lady Vanishes, an early Hitchcock gem, and Carol Reed’s Night Train to Munich from 1940 – discovered the novel and moved to make and distribute it independently, with Gilliat and Claud Gurney tagged to punch out a quick script. The most alluring and dynamic facets of Danger – the title’s cryptic reference alludes to the color-coded markings on different bottles of anesthetics used to put a patient down, a particularly important piece of evidential motif – involve its idiosyncrasies and multiple combination elements that defy all other films in its mold. In an adjacent garden at dusk, a decidedly mysterious camera angle opens up on the suave Genn tantalizing the sexually frustrated and distraught Gray with words from Lorenzo in William Shakespeare’s The Merchant of Venice: “In such a night as this when the sweet wind did gently kiss the trees, and they did make no noise . . .”, the almost sensually predatorial Genn is shocked upon hearing the skeptical response of the woo’d Jessica sprout from the lips of the Inspector, who had been doddering under a small bridge, listening. In his timely escape, the inspector trips over a rogue bush, and promptly removes the stray frond to reveal Howard hiding behind it, spying on the two lovers. The semi collective self-deprecating script piles several stone of jest onto the identity of the English man and woman at the hour in question, at the eve of war’s end, reeling from two world wars in just thirty years’ time, watching most if not all of the nostalgia and pride of Britannia crumble and fall both literally and figuratively all around them, and yet have to keep moving. To combine tension and zany comedy together into a murder whodunit would be nearly suicidal for most any filmmaker outside of HItchcock, but such contrived chaos works for Danger and the fictional events that unfold in an unfortunately real and terrible reality, where the film and its cast and crew was quite certainly under siege during the filming. The pandemonium that can drive a perfectly sane person to love, dance, cry, take cover, operate, fight and supposedly murder in a little over 90 minutes parallels the extreme times the average east coast Briton was living under, where the sudden terrible droning of an overhead unmanned explosive rocket can mean a very sudden and monotonous demise. In such a place, how best to cope with chaos but to embrace it fully, and enjoy every ounce of every moment one is blessed with in the meantime?